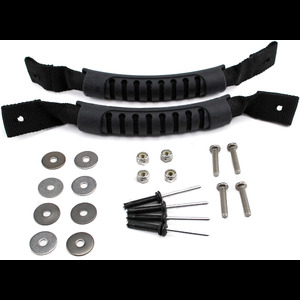 Whether you want to replace your worn out handles or install a couple of extras carrying points, the YakGear Handle Kit provides the answer. The two handles are constructed from marine-grade rubber with double-thick nylon straps for durability. This set of handles also features a contour grip for comfortable use and practicality during transportation. 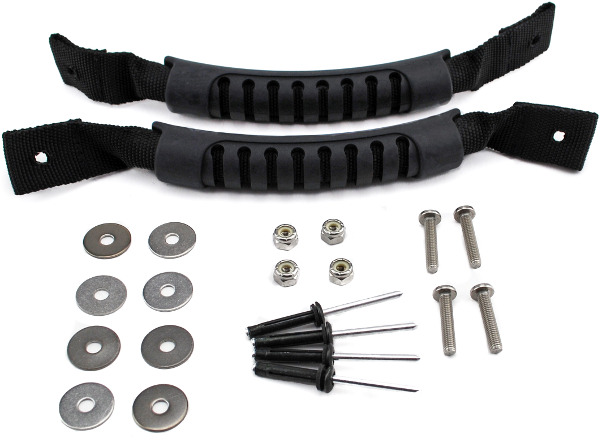 As always, this complete kit comes with all stainless steel installation hardware, installation instructions, and rigging tips from YakGear. Waterproof silicone recommended, but not included.